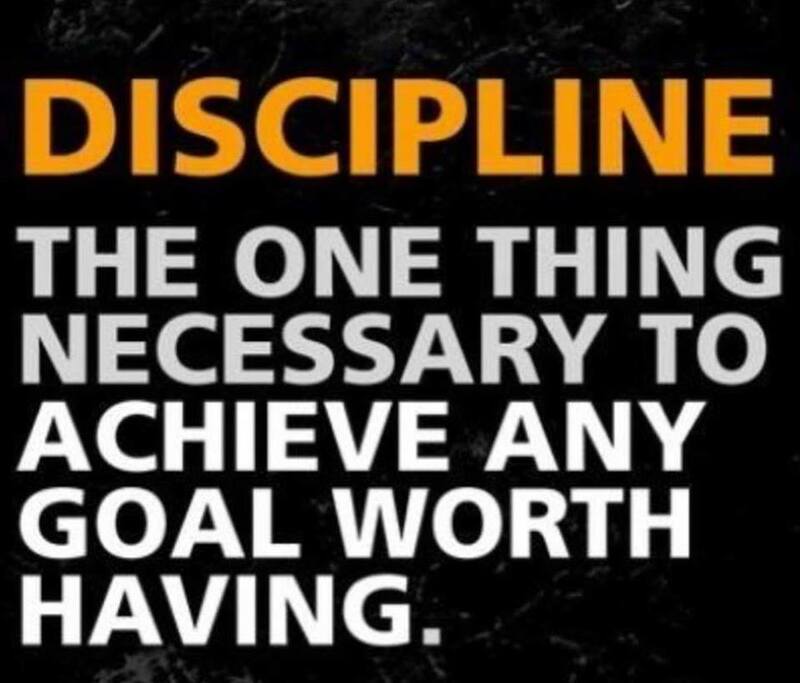 "DISCIPLINE: The One Thing Necessary To Achieve Any Goal Worth Having"
In order to accomplish the things we want to accomplish in this life we must first adopt the disciplines and habits necessary to make that a reality. It is so easy to get discouraged that we have not already achieved our goals... It is so important to not allow yourself to get discouraged and just stay focused each day on getting a little more disciplined and eventually your goals will become a reality.